Our patent-pending FRS-9 (Folding Rod Sleeve for a 9-foot fly rod) is an innovative way to transport a fully rigged fly rod. 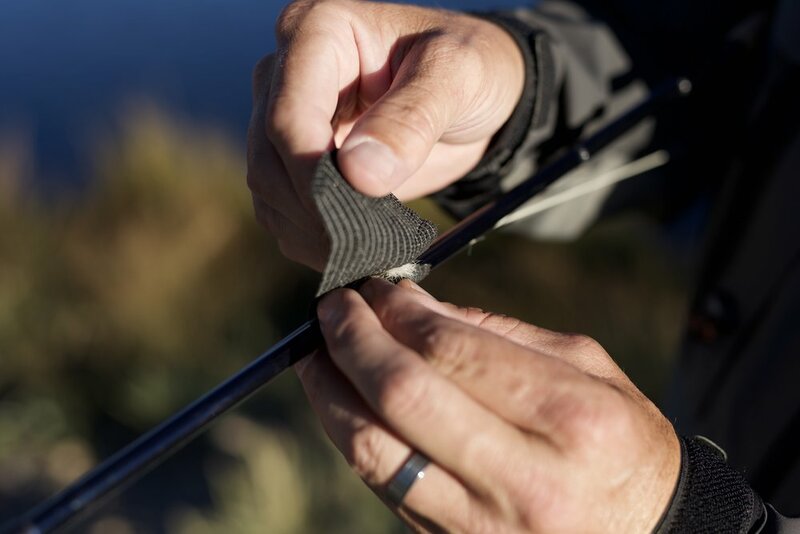 Simply insert your fully assembled, fully rigged fly rod into the sleeve, zip the protective case, separate the middle ferrule using the embedded grip or inline zipper, fold the rod in half and secure in place. It can then fit easily, anywhere in your vehicle. No more tangled lines. 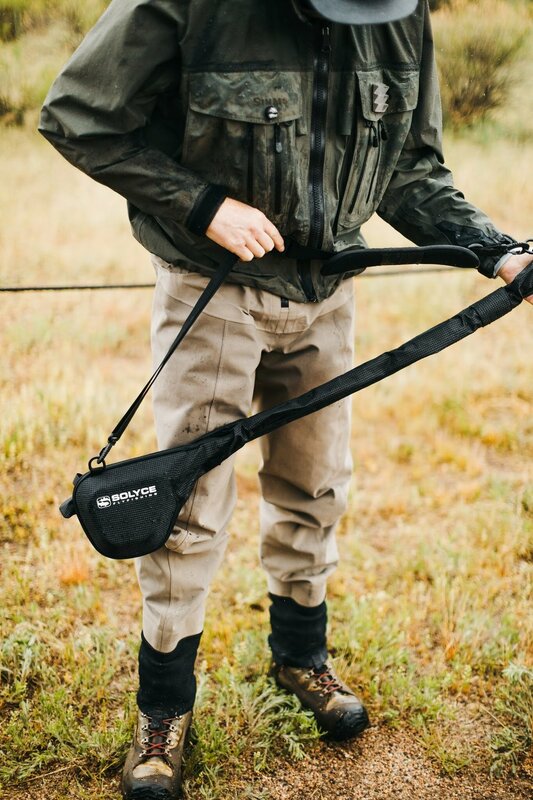 Add a shoulder carrying strap, and you can bring a second rod along with you. See how it works! Well thought out details, quality construction and only the best materials used - the FRS-9 was meticulously designed and created. The zipper pull of the FRS-9 can be easily personalized. Write your name or rod information on the zipper pull to easily identify your rod. The molded reel case adds extra protection. The FRS-9 has strategically placed D-rings and webbing straps which allow you to carry or hang your folded fly rod as needed. Tippetac was invented by fly fishermen just like you. We got tired of doing the fly line retrieval dance while standing in the river, changing a fly. So we came up with this innovative solution. The wedge and slit were carefully designed to make it easy to slide your monofilament leader/tippet in and out without damage. When you’re changing out a fly, just slide your leader/tippet into the slit of Tippetac before you clip it. Then, clip your fly and tie on a new one. Tippetac keeps track of your line…hands free until you are ready to cast again. No more looking around for your line while the end floats 30’ down river. You can also use the slit to hold clipped tippet, double rigs, etc. Once you begin to use Tippetac, you’ll wonder how you ever managed without it! The magnets primarily function as an attachment mechanism. Place the rubber piece (with attached magnet) on the outside of your waders, jacket, pack etc. Place the separate magnet behind the material to attach Tippetac. We’ve found that placing it on the right side of the chest area (for right handers) works best. It also works great on top of a waist pack. Experiment until you find the place that works best for you. The magnets also function to temporarily hold flies. You will find it’s a great place to quickly store a fly or two as you change out your rig. Wrap those loose flies on double / triple rigs, keeping them secure so hooks don’t snag in the FRS. Just a couple inches of this self-adhesive wrap is all you need… then re-use.